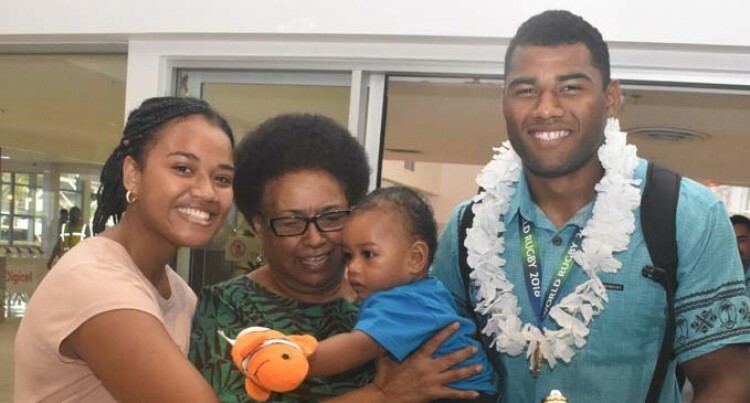 Vodafone Fijian Under-20 rugby coach Koli Sewabu admits winning the World Rugby U20 Trophy (tier 2) in Bucharest, Romania last Monday shows the impact of development in the country. The side arrived yesterday and were cheered and greeted by relatives and Fiji Rugby Union chief executive officer John O’Connor. Sewabu said, “Winning the U20 trophy was the icing on the cake in terms of the rugby development that is happening here huge. It is starting to show at this level. “We went there with the intention to win and we accomplished our mission. It wasn’t easy because out of the eight teams only one qualified for the Junior World Championship. “So it is always hard to win the World Rugby U20 Trophy and to be able to achieve it with the group of these young men is an honour and blessing for our country. “The good thing about the team is that they have been together since November. “We have had a few camps and played against teams like Naitasiri, Nadroga, Navy, Army and Police. “The boys got used to play against bigger opponents. It showed that when we played at the World Rugby U20 Trophy they dominated other teams.